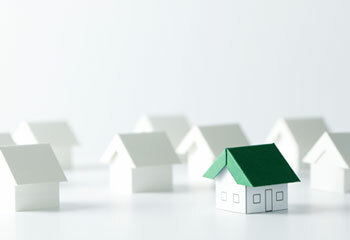 Your Home is your biggest investment Asset, is it working in your favour? If you consider yourself to be someone who invests, even in a fairly small way, we have no doubt that you meet with your financial advisor at least once a year - if not more often - to review those investments, discuss how well they are performing and what can be done in the coming year to make them work even harder for you. You do right? Of course, you do, it would be very irresponsible and short-sighted of your not to. However, for most South Africans their homes have been the largest investment they have made in their lives so far, no matter how many other financial instruments and investments they have added since. So, as you would not dream of skipping that annual appointment with your financial advisor, are you giving your property, your biggest investment, the attention it deserves? All too often the answer is no, people simply do not. They forget that their home is more than just the place they head back to at night and is, in fact, a big part of their financial wellbeing and financial future. So reviewing it as an investment annually is something that you should also add to your yearly to do list. If you see a financial advisor about your investments it should be a real estate agent you turn to take stock of your home as an investment. Once you have found the right one, the most fundamental question you need them to help you answer is a deceptively simple one; how has the value of my property changed? A number of factors should be taken into consideration when coming up with the answer to that question. Current market conditions and recent fluctuations of the market in your area will play a large part, obviously, but the agent should also take into account how changes to the physical space might impact both the property's basic value and overall marketability. For example, the new kitchen you invested in a few years ago has almost certainly added to at least the property's perceived value. The gazebo you added should do the same too, especially as outdoor living has become so important to so many over the last few years. But the fact that the windows have seen better days may negate some of those positives. Ask the agent to provide you with a comprehensive assessment of your property’s value, and marketability in the same way as she would if she was to list your home for sale, as is, today. Making use of the agent assessment as a starting point you should then begin looking forward to the future when your home is viewed purely as an investment. Is it time to finally replace that furnace? Would a new paint job improve the home's curb appeal? 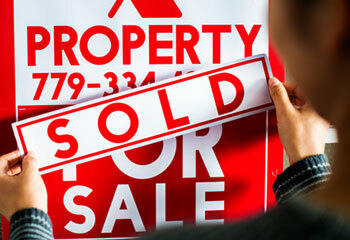 What do the homes that are selling in your area right now for the highest prices have that yours does not? Would it make sense to try to add them or is it just a fad? Should you consider moving to another suburb where prices are rising. Studying the property market is a very valuable exercise. Timing can make a difference. Do you plan on still being in the home in five years? Will you still be there in ten? If you have decided that this is a long term investment - rather than a starter or a transitional home - then springing for that bathroom renovation - makes sense. However, this improvement might not be immediately reflected in the resale cost if you plan to sell two years from now. Any good real estate agent is a person who has her finger on the pulse of your local market and the current trends that are helping to drive it, so he or she can steer you toward the best choices for maximum salability of your home. For instance, maybe you’re thinking about building some kind of larger outdoor amenity. The agent should have a perspective on what sort of spaces are most sought after. Tastes and home trends change and they can help you stay up-to-date. Lastly, while your real estate agent should be your primary go-to expert for managing the investment that is your home, it makes also makes sense to bring your financial advisor into the picture as well. There is considerable overlap in how you manage your long-term finances and how you manage your property - more than you might think - and having both advisors involved will help ensure everything is working in sync so that the value of all of your investments can grow.